Addis Ababa, May 6, 2016 (FBC) – A new draft bill has been prepared to amend the existing income tax proclamation. The income of the community, the country’s existing reality and global volatility are the reasons behind for the amendment of the proclamation existed since 1994 E.C. The draft proclamation was prepared by a team drawn from the Ministry of Finance and Economic Cooperation (MoFEC), Ethiopian Revenues and Costumes Authority (ERCA) and regional finance bureaus. 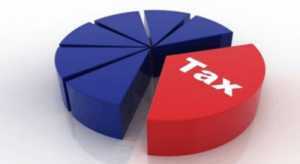 The team also prepared a draft bill for the amendment of tax administration. The new income tax proclamation is expected to reduce income tax of employees, said Wasihun Abate, legal service director at MoFEC and chairman of the team. The two draft proclamations will be tabled for the House of People’s Representative (HPR) at the end of this budget year.